Juno and Young Adult screenwriter Diablo Cody is turning director with Paradise, which is due to hit cinemas later this year. Now the first trailer for the movie has arrived. 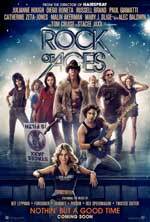 The film adaptation of the 2009 Broadway musical is two hours of high energy 80s rock music coupled with laugh out loud comedy, as we see a young girl search for fame and fortune in the bright lights of Hollywood, set against the underside of the rock music industry. Russell Brand needs to make up his mind. Just last week he said he was putting movies on the backburner to concentrate on stand-up, and this week he’s signed up for two film. Earlier this week he attached himself to Pierre Pierre for director Larry Charles, and now Variety reports he’s up for a film called Cupid. As the title suggests, the film is about the Roman god of love, as we works to create “an ideal romance.” There’s not many more details than that, but hopefully this doesn’t mean Brand will spend the whole movie in a nappy. Joe Nussbaum, who last directed Disney’s Prom, is set to helm the film, and it’s likely he’ll write the script too. There’s no news on exactly when it might shoot. Just the other day, Russell Brand was saying that he was backing off from the movies and preparing to concentrate on stand-up. However it appears he’s not backing off that far, as Variety reports he’s in early talks for Larry Charles’ new movie, Pierre Pierre. The script by Edwin Cannistraci and Frederick Seton was originally picked up by Jason Reitman in 2008, with Jim Carrey attached to star. Now Borat and The Dictator’s Larry Charles is set to direct, with Brand possibly joining him. The film is about a French nihilist who transports a stolen painting from Paris to London. During his journey he runs into a serial killer (named Pigeonshit), a French police inspector, and his own mother (who owns a brothel). 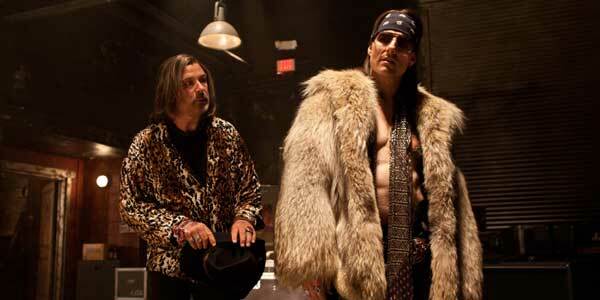 I have a horrible feeling a lot of critics are going to rip into Rock Of Ages, but I for one loved it. While it has its problems, it made me smile about 30 seconds in and I was beaming when I came out. It’s silly, cheesy and sometimes verges on the ridiculous, but it’s also a hell of a lot of fun, with a plethora of hair metal hits being shoe-horned in, Glee-style (or Mamma Mia! style, if you prefer). 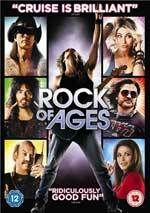 Rock Of Ages is one of those movies that could either be inspired genius or absolutely awful and from this trailer it’s tough to tell which. Coming across as a rather camp, tongue in cheek spoof on the 80s, filled with the music of Def Leppard, Bon Jovi and more, it’s certainly an unusual beast. Now a new full trailer has arrived, which largely seems to be about making us wait to hear whether Tom Cruise can sing (and when he does, it appears the autotune has been working overtime). The film tells the story of a small town girl called Sherrie and city boy called Drew, who meet on the Sunset Strip while pursuing their Hollywood dreams, all mixed in with the fortunes of a club and the rock star Stacee Jaxx (Cruise). The film, from gay director Adam Shankman (Hairspray) is set for release on June 15th. Actor Russell Brand certainly seems to want to make a spooky tale. Last year he signed onto and then left an adaptation of Brit TV show Rentaghost and now he has joined the supernatural tale The Hauntrepreneur for Paramount Pictures, according to Variety. We first reported on this project back in May, when Paramount and Platinum Dunes boarded the project. The slightly Beetlejuice-esque movie is about a family who move to a new town but can’t quite adjust to their surroundings. They hire a man known as the The Hauntrepreneur (Russell Brand), who builds them a haunted house full of bizarre characters, which helps bring the family closer together. With Brand onboard, the studio is looking to lock down a director next. It isn’t known when the movie might shoot.